SUMMARY: A U.S. Olympic athlete turned WWII Airman survives a plane crash, 45 days on the open sea, and the remainder of the war in a Japanese prison camp… all the while remaining unbroken. 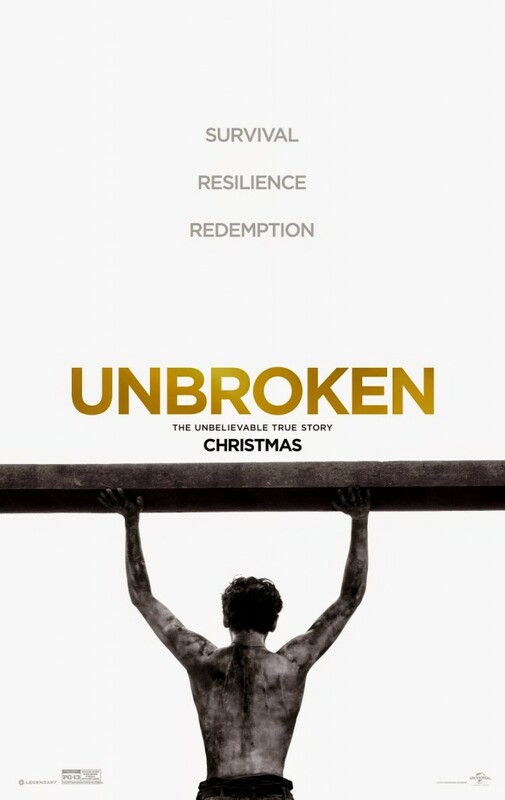 DETAILS: Based on the true life experiences of Louis Zamperini, Unbroken tells the story of a U.S. Olympic athlete turned WWII Airman (Jack O’Connell) who survives a plane crash in the ocean, 45 days on the open seas, and the remainder of the war in a Japanese prison camp. Zamperini continually hears his brothers words of encouragement though all of his trials, beatings, and torturous experiences. In the end he remains unbroken and eventually chooses to forgive his enemies. This screenplay, written by Joel & Ethen Coen (and others) contains several scenes that portray strong themes of faith and redemption, including a “crucifixion” scene, and a beautiful baptism scene where Louis and all the prisoners ultimately receive their redemption. Directed by Angelina Jolie, the story doesn’t cover the entire novel by the same name, but certainly is an inspiring telling of Zamperini’s early life.